On Saturday the 22nd of December, between 9 – 10 pm, a tsunami occurred in the coastal area of the Sunda Strait. Satellite images shows the eruption of Mount Anak Krakatau caused the collapse of a mountain slope, resulting in an underwater landslide, which triggered a tsunami. Based on BMKG (Indonesian Meteorology, Climatology, and Geophysical Agency) observations, tsunamis with wave heights of 0.28 meters to 0.9 meters hit the western part of Banten Province and south Lampung Province. 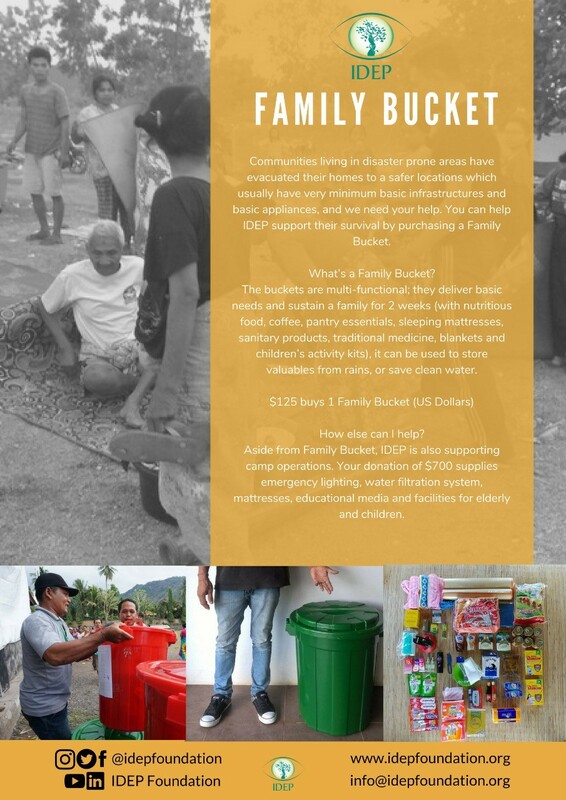 According to BNPB (Indonesian National Board for Disaster Management), as at 25th December, the areas worst affected on the island of Java include Carita Subdistrict (71 fatalities), Panimbang Subdistrict (126 fatalities), Cinangka Subdistrict (14 fatalities), Labuan Subdistrict (13 fatalities), and Sumur Subdistrict (39 fatalities). 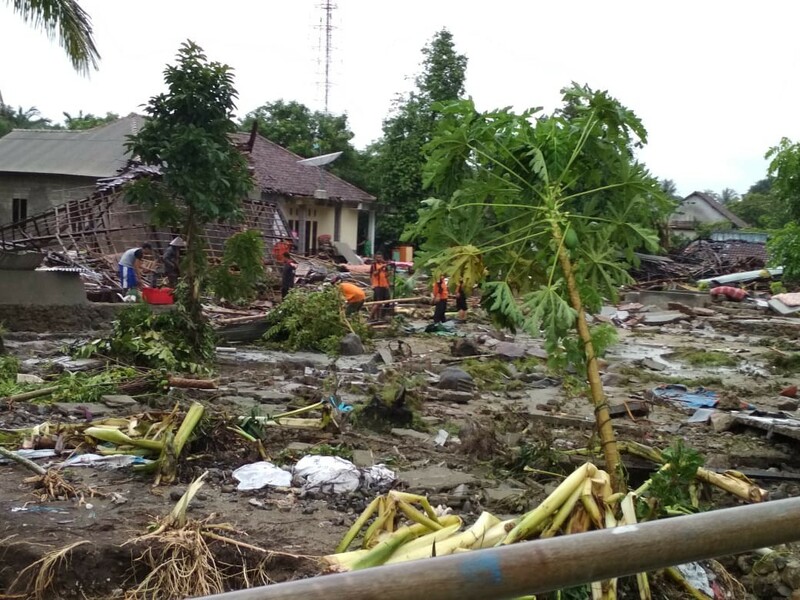 On the island of Sumatra in Lampung Province, the affected areas include Sidomulyo, Subdistrict, Kalianda Subdistrict, Kelumbayan Subdistrict, and Punduh Pidada Subdistrict (South Lampung, with a total of 70 fatalities). The photo below shows the houses and environment destroyed by the tsunami. The following pictures are of the conditions reported to IDEP in the Taman Jaya Area, Sumur Subdistrict. 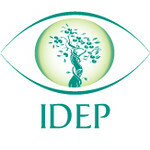 IDEP Foundation will help refugees in the Sumur Subdistrict, Pandeglang; specifically in Ujung Jaya and Taman Jaya Villages. These villages are two of the six villages in the Sumur Subdistrict that are still isolated because the roads are cut off (Head of BNPB PR and Data Center, 25th December). 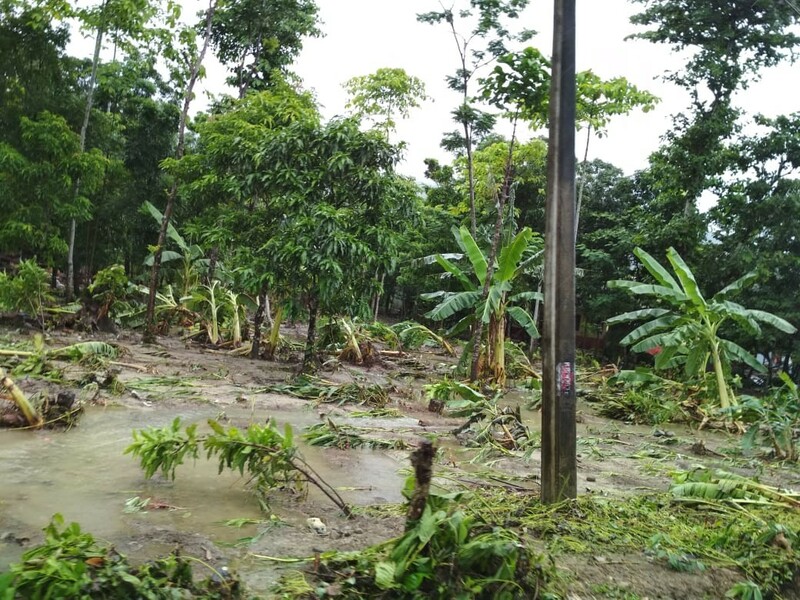 The affected villages in Ujung Jaya (Legon Pakis Village, Cikaung Sabrang Village, Tanjung Lame Village, Cipeuteuy Village) and Taman Jaya (Panis Village, Cibinua Village, Cimenteng Village, and Taman Jaya Village), Sumur Subdistrict, Pandeglang will be assisted. At least 4 people were recorded dead in the two villages, which now has 2,850 refugees.